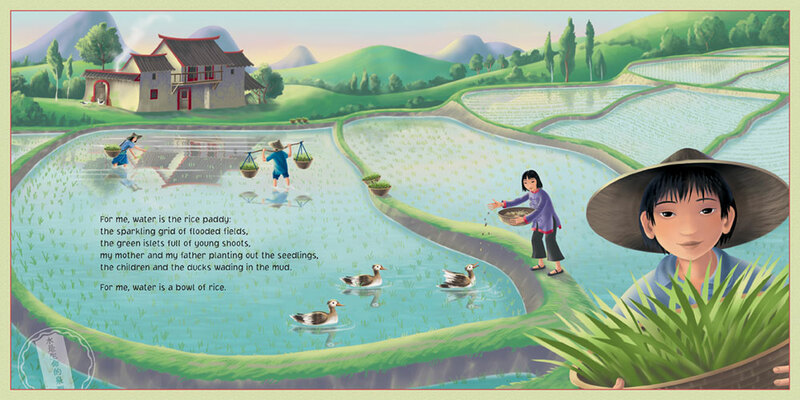 Around the world, water appears in many forms: a snowflake, an oasis, the stream from a faucet, monsoon rain. 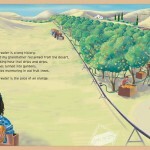 In Water’s Children, twelve young people describe what water means to them. 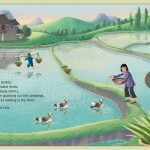 The descriptions are as varied as the landscapes the speakers inhabit, but each of them also expresses, in their own language, a universal truth: Water is life. 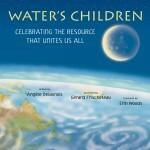 Accompanied by the glowing illustrations of Gérard Frischeteau, Water’s Children is a celebration of our world’s most precious resource and will encourage thoughtful discussion among young readers and listeners. 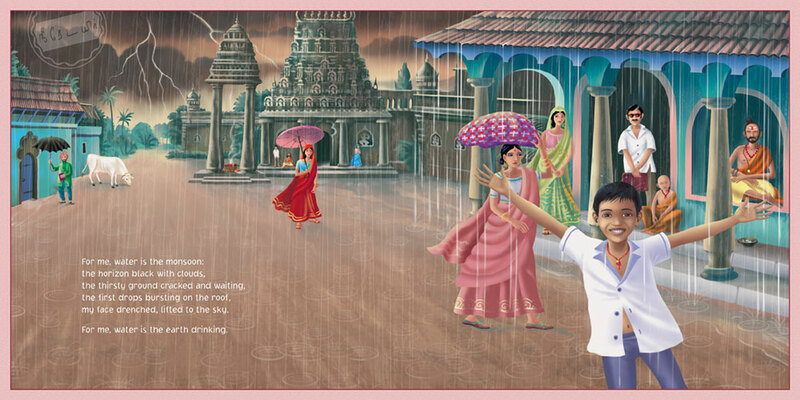 The narrators’ words, lyrically written by Angèle Delaunois, offer emotional and sensory details that bring their experiences to life. 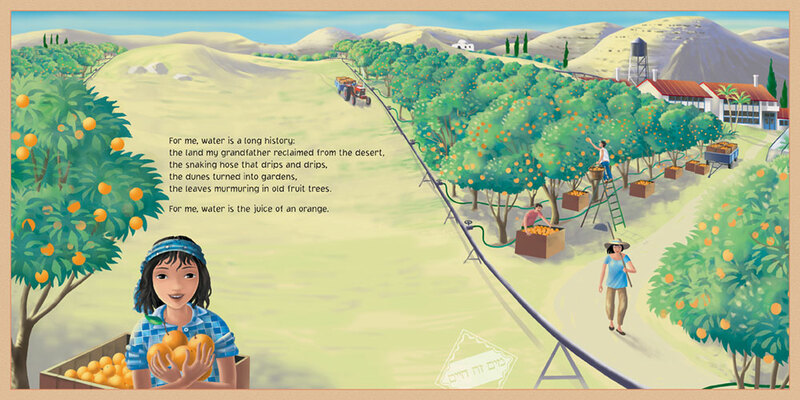 On the final page, a guide identifies the languages in which the phrase “water is life” appears throughout the book, with thanks to the individuals who provided the translations, helping to craft this truly global story. 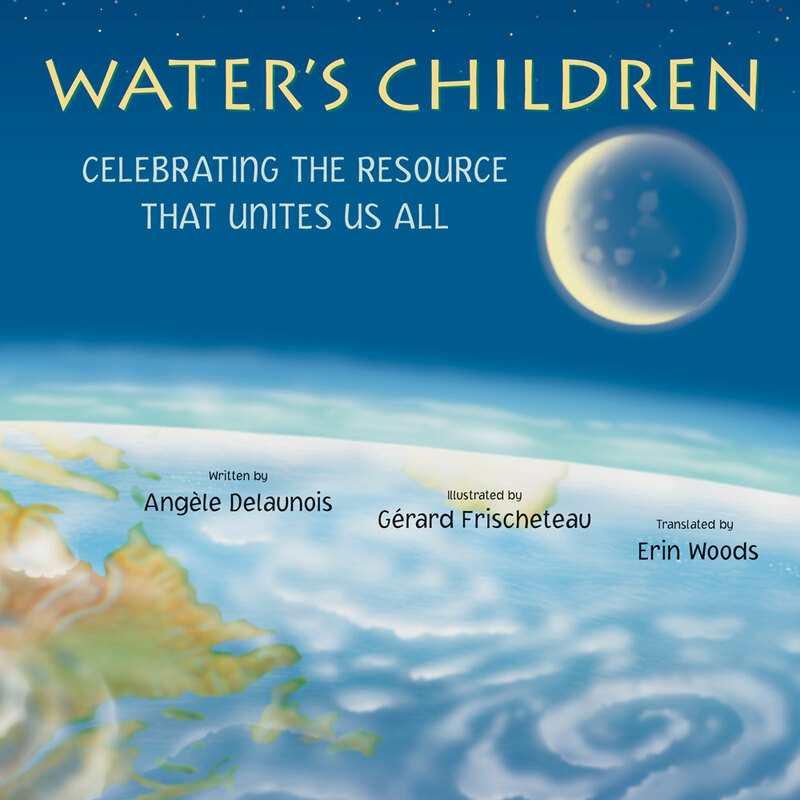 Originally published in French and nominated for the prestigious TD Canadian Children’s Literature Award, Water’s Children has now been translated into six languages in countries around the world.